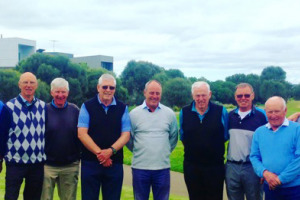 The Bellarine Peninsula is the perfect location for a social group golf getaway. Only 30 minutes from Avalon Airport (70 mins from Melbourne airport) and with the high number of quality courses in the area to experience, its a region which can be visited year after year, with each year feeling as though you have gone somewhere new. With a range of accommodation venues, close course proximity and the wide variety of courses on offer (country courses with kangaroos to links courses next to the beach), there's really no reason why you wouldn't plan your next social golf getaway to the Bellarine. Planning a golf getaway for so many people can be a daunting experience, especially if you dont know the area well, which is how we can help. Being based on the Bellarine Peninsula, we are the only locally based golf tour operators in the region. This means that the packages we provide are perfectly customised to each groups requirements. Below are just some of the details we can help you with. We act as your own personal golf group organiser, working to get you the best package price possible. Easy payment terms available. Groups of all size catered to. Feel free to give us a call or email us to discuss your groups requirements.